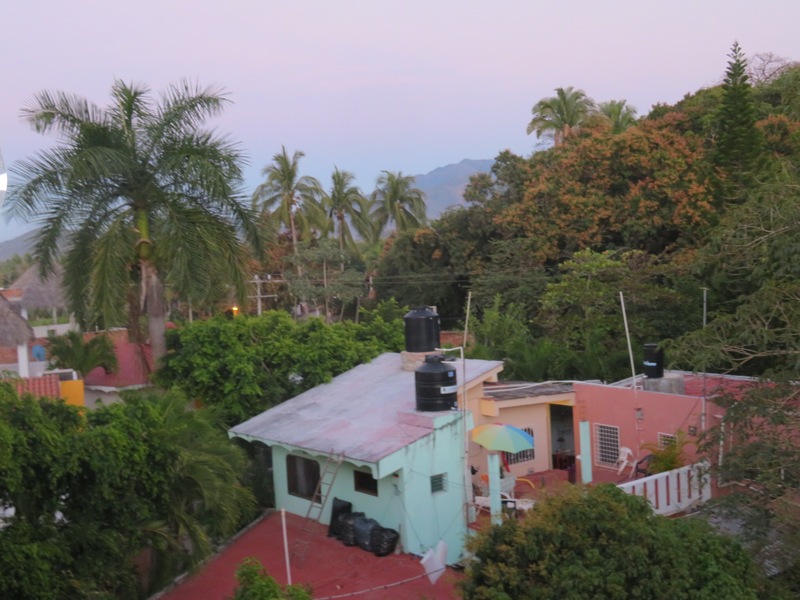 This was the first time our friends Bryce and Arlene were coming to visit us in Lo de Marcos, so we walked into town and met them at the zocalo. 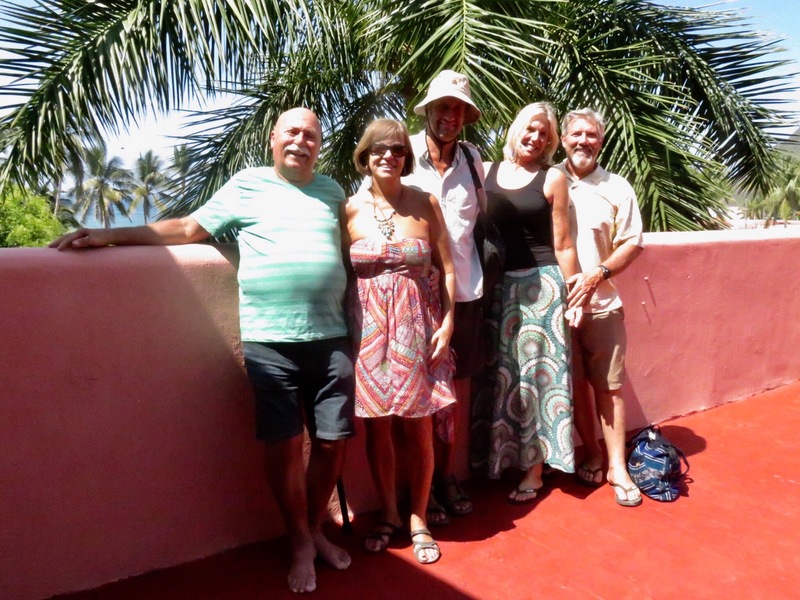 We were pleasantly surprised that they also brought our friends Susan and Jim along with them. 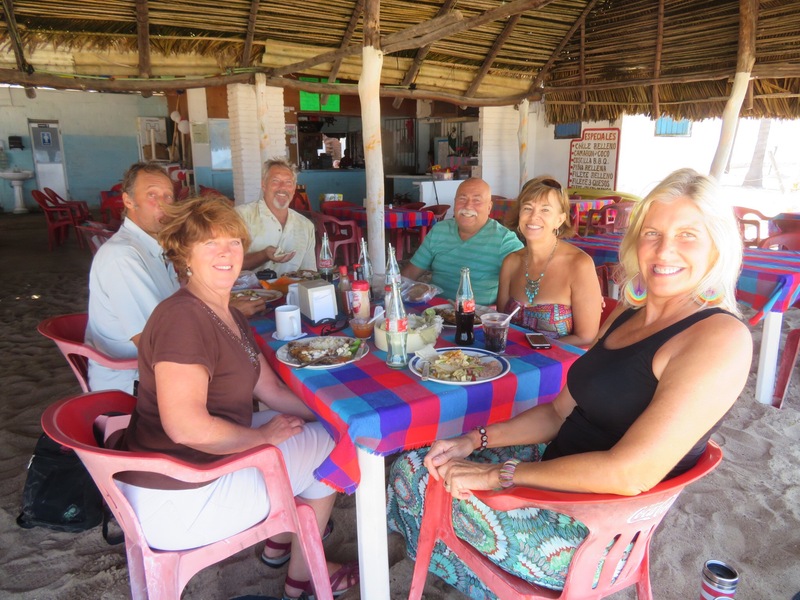 We spent some time catching up in town then made our way down to Olivia’s restaurant on the beach for an early lunch. Another picture perfect day on the beach. We sat in the shade and watched the surf rolling in. Bob happened to be out front fishing for robalo so I stepped out to say hello and he came over and met the crew. Whole red snappers served al mojo de ajo were our popular choice while PJ and Jim opted for veggie omelets. Angel, the pie vendor came by and we bought some of his home made treats. 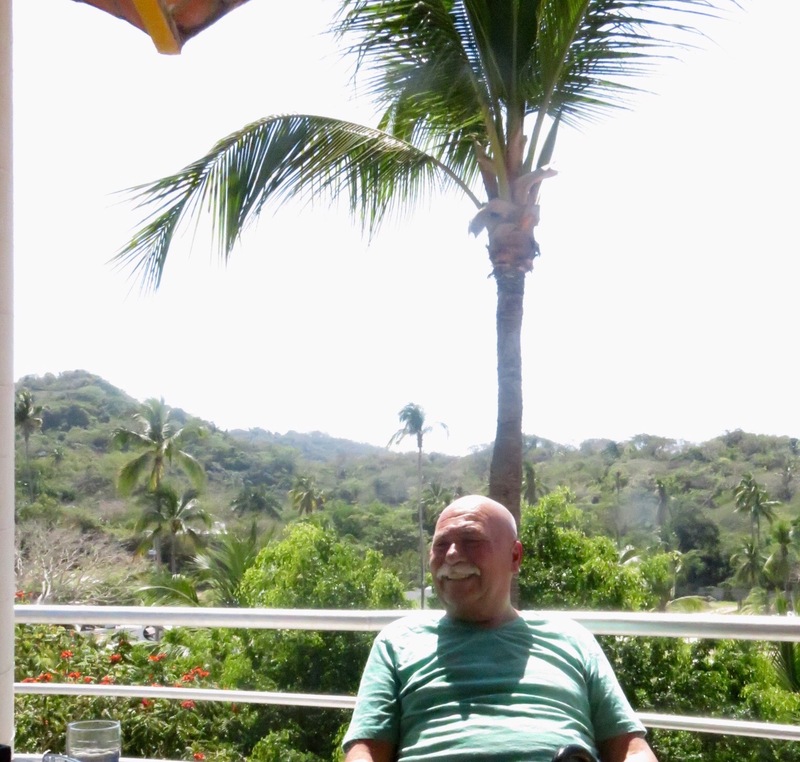 Lunch was decent and passing the time under a palapa in Lo de Marcos with friends was priceless. One of the visitors from a few tables over offered to take a group picture for us in exchange for PJ acting as photographer for their group. A beach vendor came by selling the peyote ointment I’ve been seeing around since we got here. Susan bought some for her sister and we were checking it out. The concoction has peyote, marijuana, menthol and arnica. It is used for painful muscles or joints. One of the women from the other table came over and rather enthusiastically extolled the virtues of the balm. Curious to give it a try. 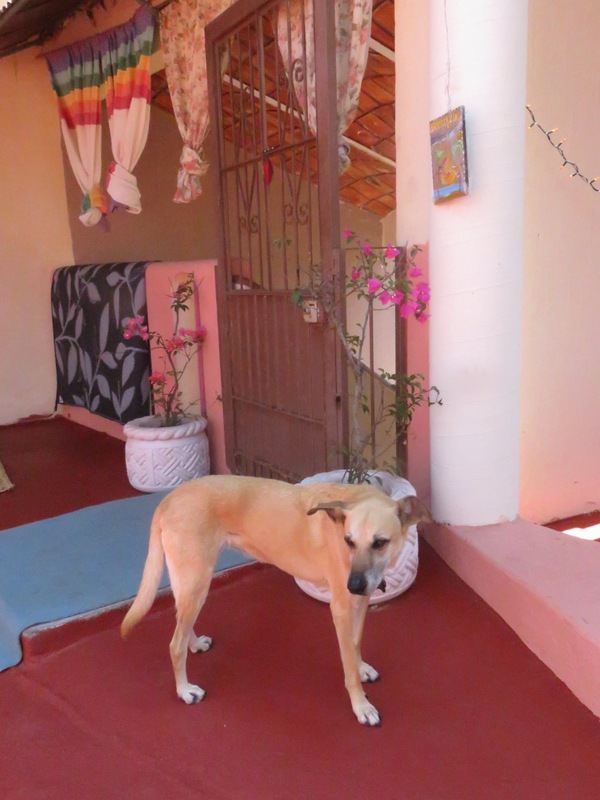 After lunch, we all headed over to the casita. Bryce and I took the car while Jim and the ladies decided to walk down on the beach. We gave them the grand tour then sat on the sky deck talking into the afternoon. A very enjoyable visit. 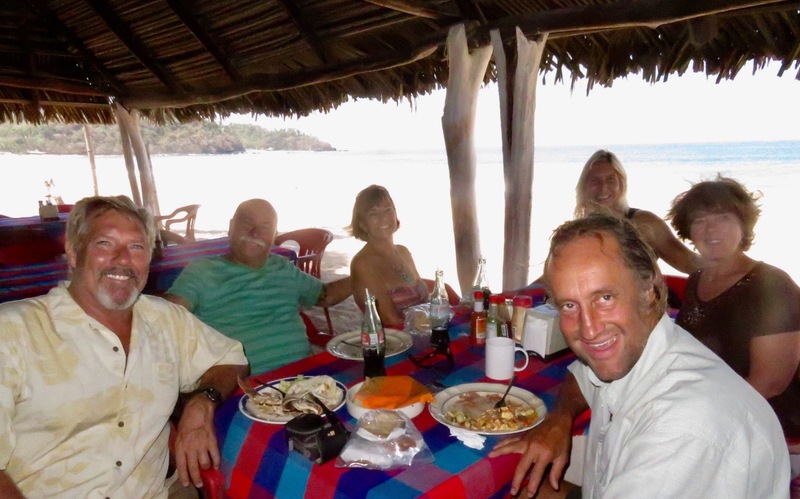 Good to see our friends and catch up on the happenings in Bucerias. They headed for home in the mid afternoon and it was definitely time for a nap. Lounged around until the early evening then made my way to the beach for a swim and attempted body surf. Waves are on the wane. The red flag was taken down and the yellow flag was up. Water was cool and refreshing. There were still a lot of Sunday visitors running around the beach, mostly families. Lots of kids with boogie boards and a few stand up paddlers at the point. Made a couple of quesadillas and watched a little bit of Lord of the Rings in Spanish. Strummed the guitar and took it easy. Susan had shared a bit of the peyote balm with us so I rubbed some on my shoulders before going to bed. We’ll see if it makes a difference.